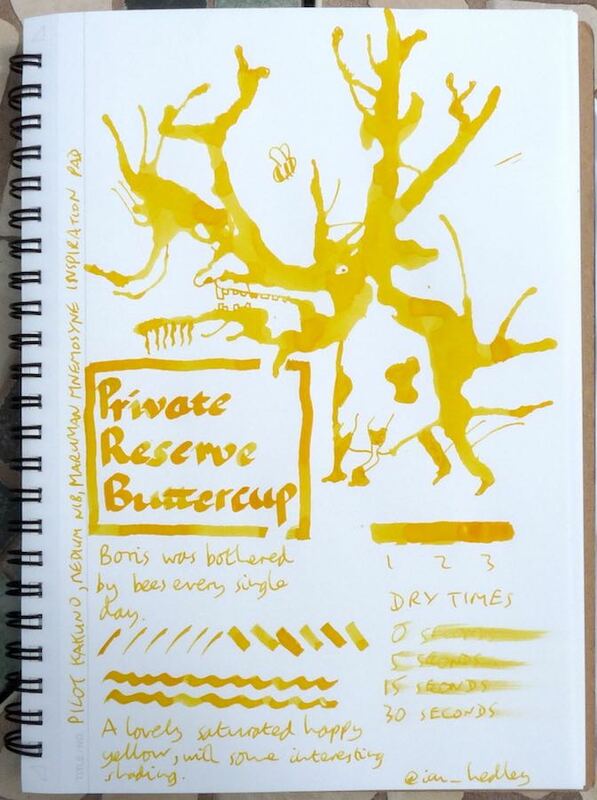 Private Reserve Buttercup Ink Review – Pens! Paper! Pencils! 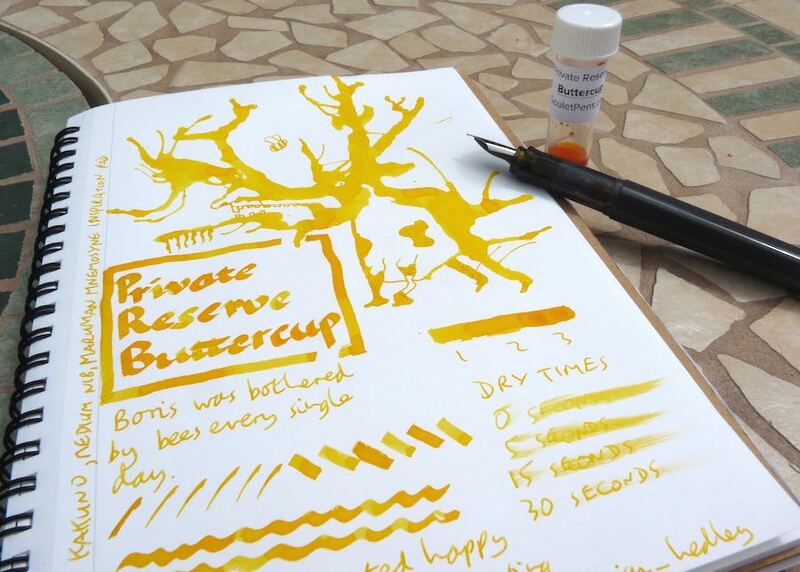 Yellow inks always look so lovely but aren’t usually very practical as they can be hard to read. This is quite a strong yellow so better than most but still a little difficult, particularly in low light. It is a lovely colour.